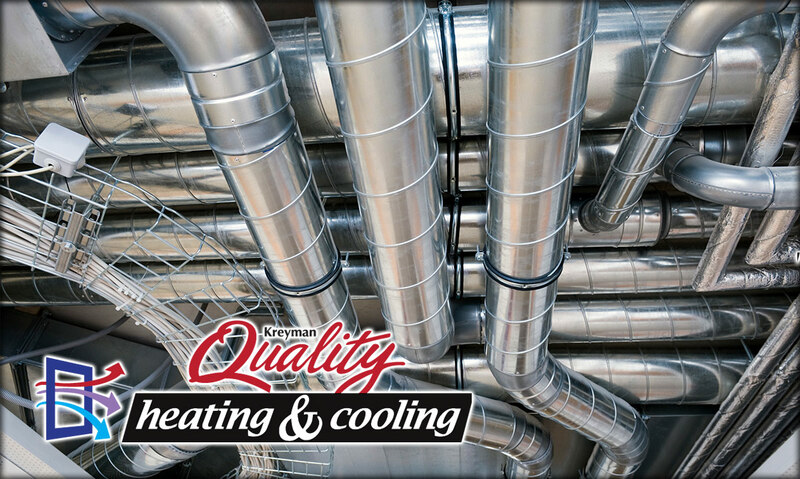 Kreyman Quality Heating & Cooling has over 20 years of experience in providing industrial duct design, with ductwork systems built to suit your specific commercial needs. You want all the right duct, clamps, collectors, flanges, and blast gates at your disposal before the installation of your ductwork begins. That requires knowledge and experience in industrial ductwork system design and professional delivery of an exceptional air system. Kreyman Quality Heating & Cooling makes it quick and easy for you to get professional commercial duct design as well as a reliable air system and components for your facility. 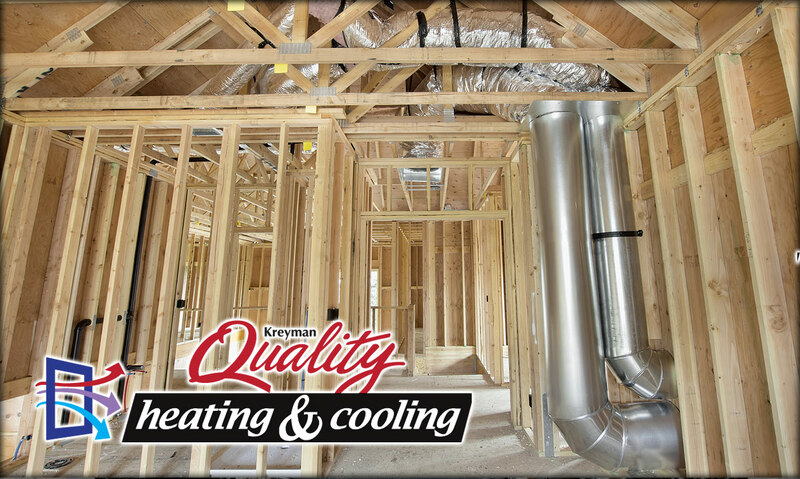 Kreyman Quality Heating & Cooling provides professional air duct installation for new home construction or retrofits. If you are installing a new HVAC system, let our Cleveland heating and air conditioning experts take care of the ductwork for you, ensuring everything is installed and working properly to provide you with maximum energy efficiency. Proper design and intallation of your ductwork greatly effects the efficiency of your heating and air conditioning systems and can save you thousands of dollars and extends the life of your HVAC systems. We are your ductwork design & ventilation systems experts! We use state of the art software from WRIGHTSOFT (www.wrightsoft.com). 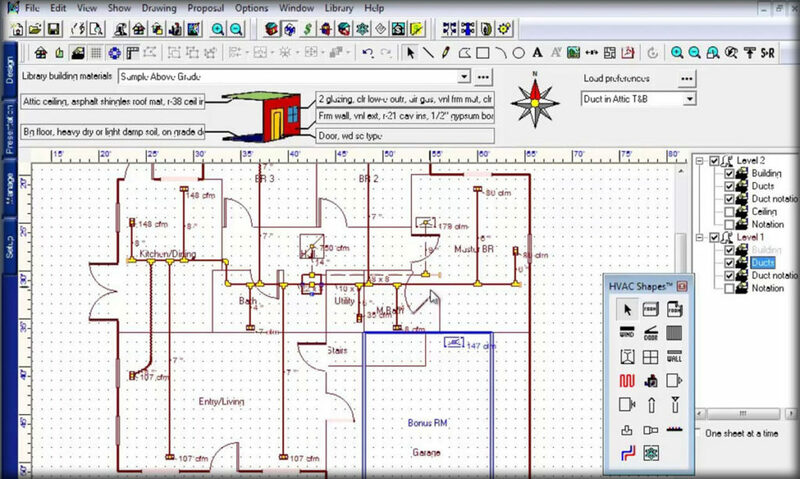 This allows us to properly size the Heating & Cooling equipment, design the duct system, and compare types of systems. To perform the calculation, a scaled drawing or blueprint will be needed for each floor of the home. This must have all the room dimensions on it as well as the type of flooring in each room. In addition each drawing must have the floor number on it as well as an arrow pointing in the direction of north. All windows and doors must be shown as well as their size/model number. It is recommended that a drawing showing exterior elevations be included. If this is not available, the measurement of the homes' overhang/eave must be given. Also, the distance from the top of the window to the eave must be given for each window.